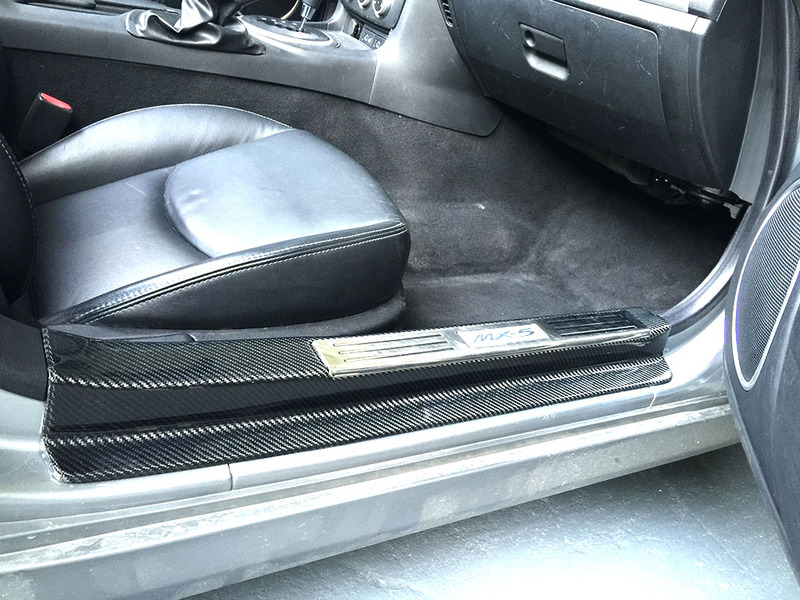 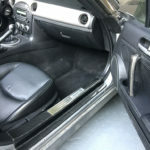 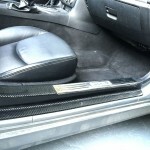 Those extra light carbon fiber side sills will give an extra touch to your interior. 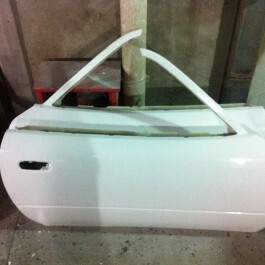 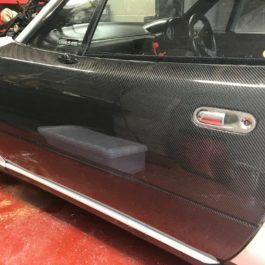 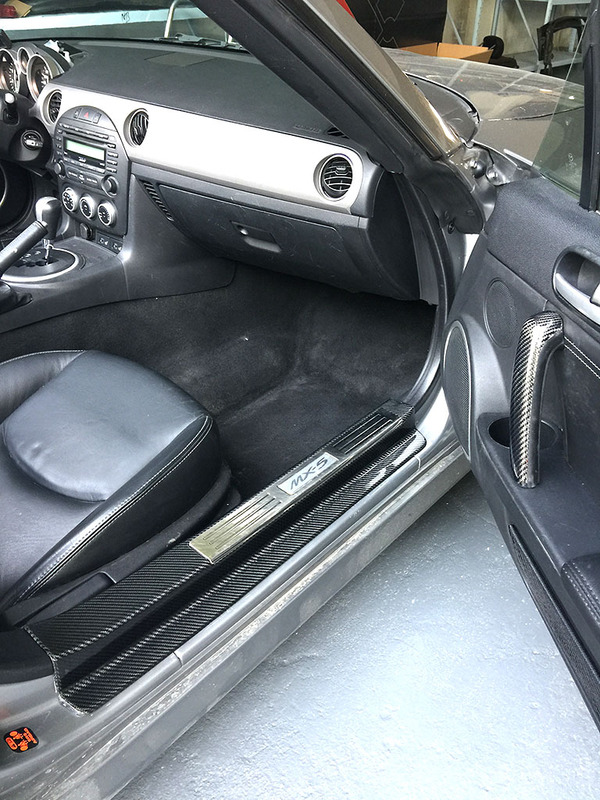 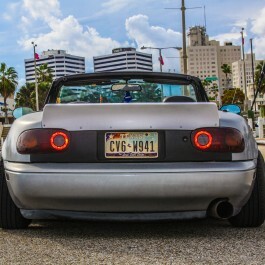 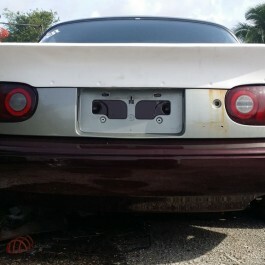 Perfect alignment with the Miata door sills shape. 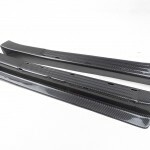 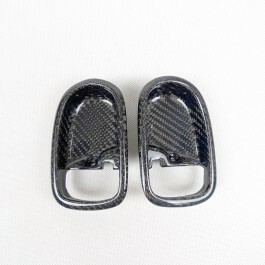 Made with high quality carbon fiber, they are coated for a long lasting shiny effect and scratchs resistant. 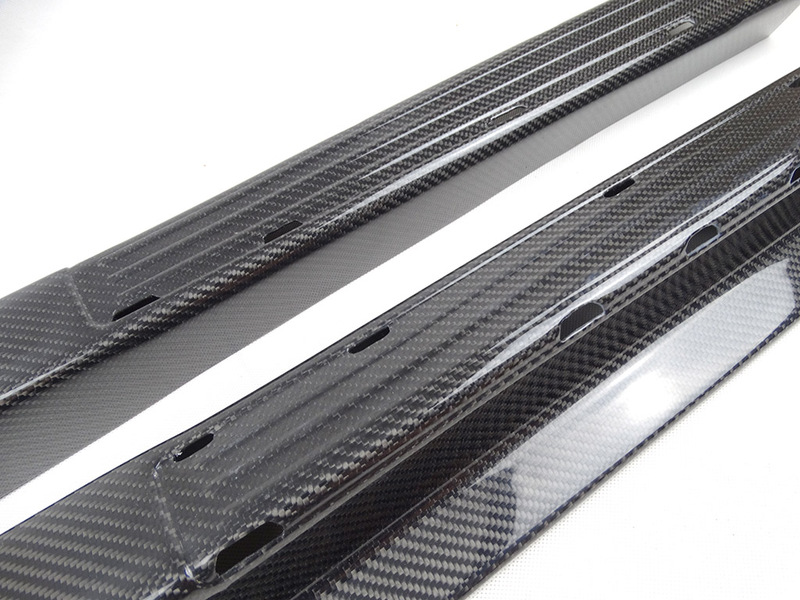 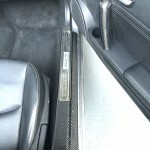 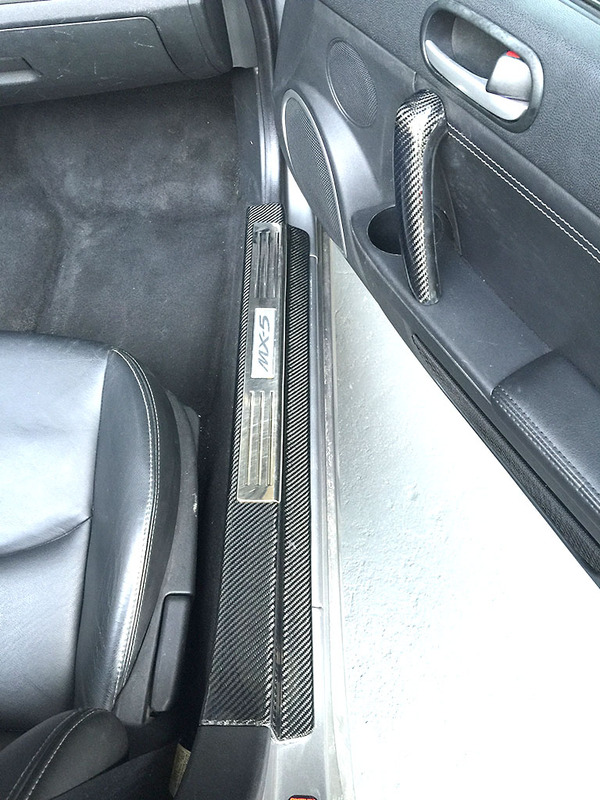 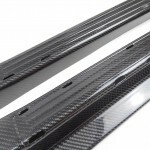 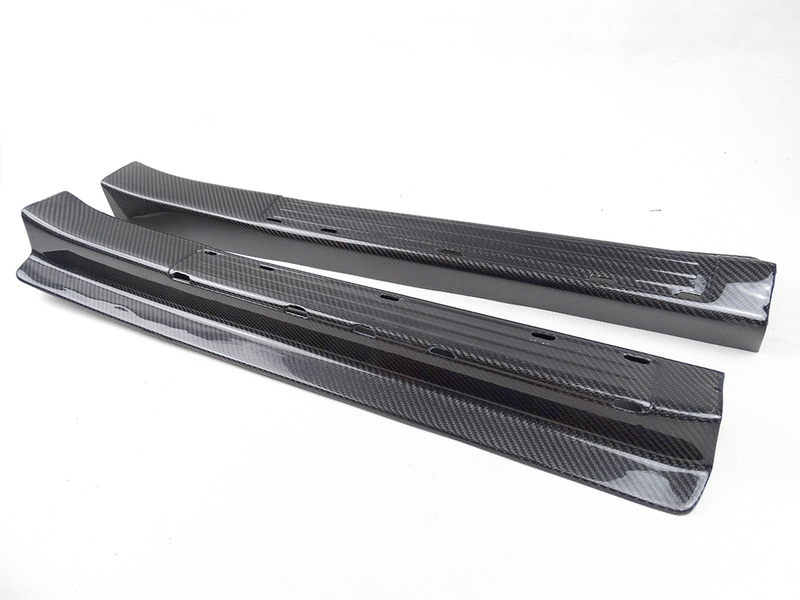 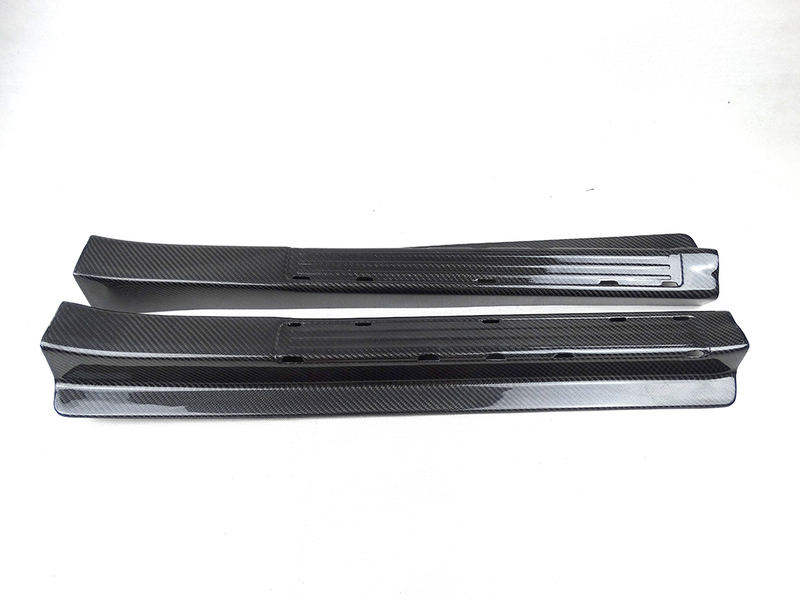 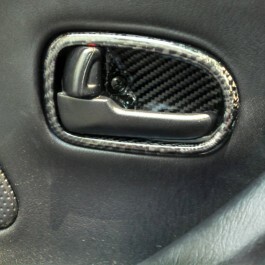 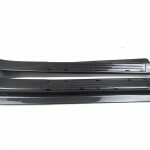 Note: You will need to remove the aluminum logo plates and retrofit them on our carbon fiber side sills.